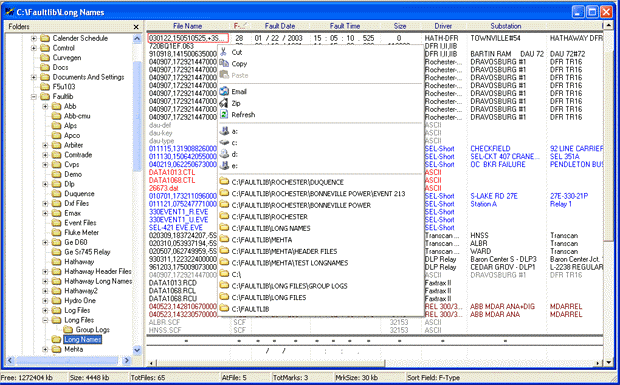 The Device Manager is an advanced version of the Universal Viewer. It includes an extensive library of drivers for polling IEDs and retrieving their latest fault and disturbance records. 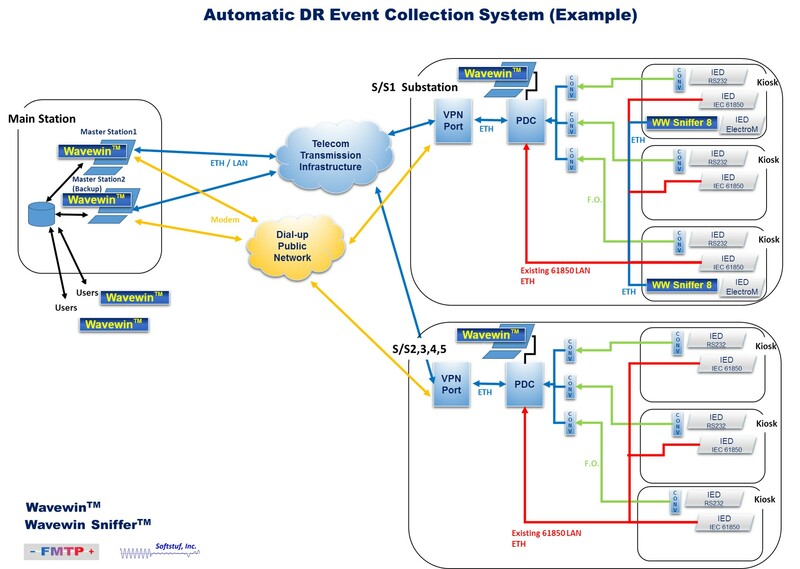 It provides a database for configuring communication, storage, and reporting parameters. It complies with NERC PRC and CIP requirements. Each copy can poll up to 2,000 devices simultaneously. Both “report by exception” and “poll upon demand” functionality are supported and reports on communications integrity are also provided. The product is used for logging access and changing passwords on numerical relays and is equipped with an HMI used to populate single line diagrams with periodic readings including volts, amps, watts, VARs and status information. 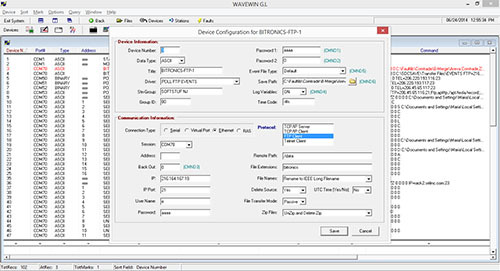 The Station Monitor is an advanced graphical interface that allows for users on the company's network to monitor all information polled from the devices configured in the device manager. Each station polled is displayed as a one-line diagram. The one-line diagram shows all device load information, circuit imbalances, circuit overloads, breaker status and more. It also allows for searching for station/device transient files, load data, event summaries and event histories. 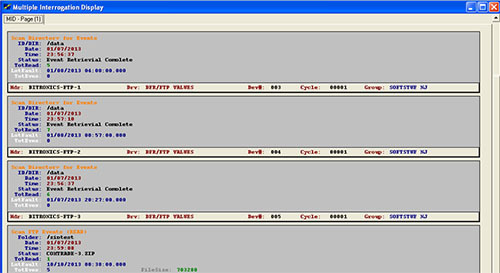 If the Device Manager is used to monitor bulk protection assets that are deemed critical then the Device Manager is designated as a critical cyber asset (as defined by NERC CIP Standards) especially because the Device Manager handles sensitive information such as baud rates, IP addresses, user ids, passwords, relay settings, targets, and fault and disturbance data records. 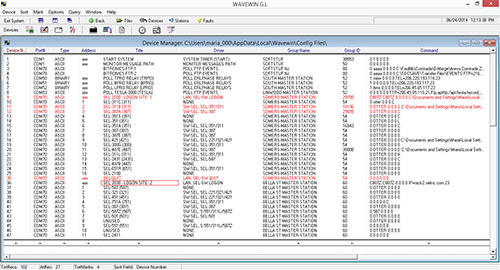 The Device Manager is a very useful tool for helping protection and security personnel investigate and classify fault records (whether they are due to real life operations/mis-operations or are caused by malware and/or cyber attacks). The Device Manager is in effect a monitor of protection assets which in turn makes it a fundamental component of CIP compliance and provides an advanced tool for security planning.